Three times he will prove his love for her. The third time will kill him. In a world where violent magic is punished by the gods, mages have learned to use their powers for deception and manipulation instead. Rynold has learned these lessons better than most. Instead of openly competing for the heart of Princess Mirelda, he instead misuses an ancient artefact to engineer a scheme that sends her lover, Damian, on a fraudulent pilgrimage to a faraway land. Triumviratus is a 530 page graphic novel that paints a deeply personal love triangle against an epic fantasy backdrop, and will appeal to readers of fantasy who appreciate strong character drama that drives a high-stakes story. It was released as a limited edition premium hardcover in late 2018 – this version is only available via direct purchase from me (at conventions or via my OwnAIndi page). 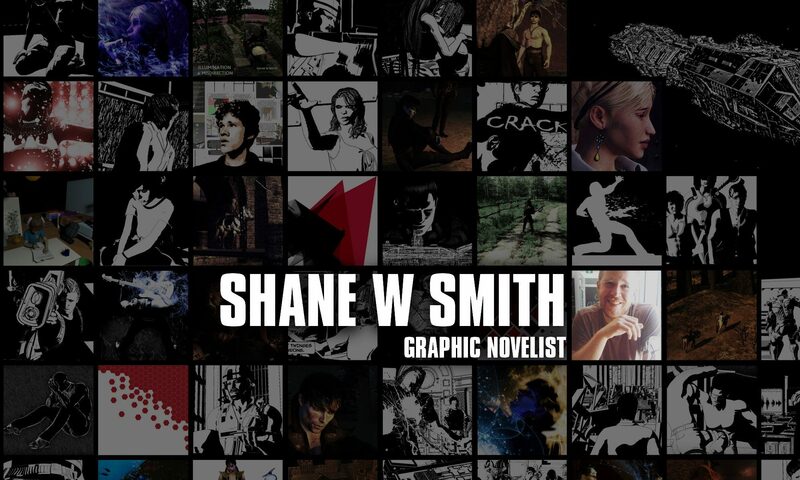 A paperback version and an ebook version will see wider distribution in late 2019/early 2020. 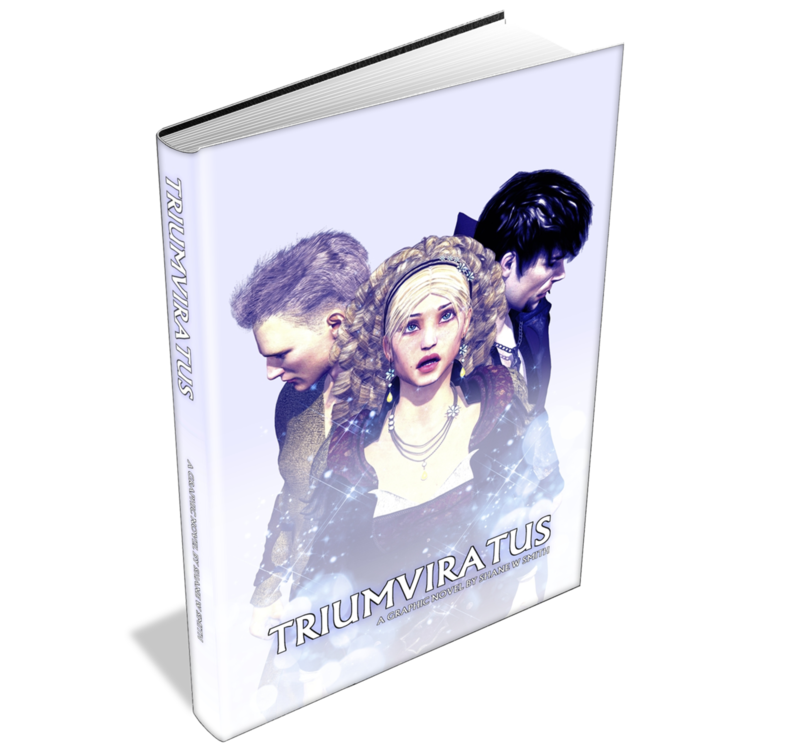 Triumviratus is currently being released in monthly installments on Patreon. You can read the first chapter of Triumviratus here for free.